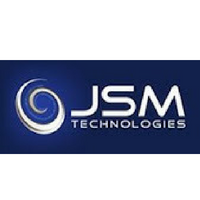 JSM Technologies was incorporated as a Pvt. Ltd. company in New Delhi, India in May 2000. JSM Technologies is a technology company specialising in Human Capital Management Software products including HR Software, Payroll Software, Employee Self Service Software, Central Government Payroll Software, Expense Claims Reimbursement Software, Performance Management Software, Travel Management Software, Timesheet Software and Business Intelligence Software. JSM Global Development and Support centre headquarters is in Bangalore, India and it has clients All India and overseas too.